Taj Mahal, India submitted to the assignment ‘Best of the World’ on National Geographic. He has contributed to the National Geographic Your Shot photo community with an assignment called ‘Best of the World‘. Curated by Margaret Zackowitz, Editor in Chief National Geographic Traveler Magazine and Leigh Borghesani as well as the third curator Carol Enquist who also work for the magazine and they are looking for a front cover for their magazine with the Best of the World. For this assignment the photograph should demonstrate a strong sense of place. The particular location where the photo was photographed does not have to be immediately recognizable, but the scene should not feel like a generic landscape. The very best travel magazine cover photos make readers wish they were in the picture. For this photographic assignment, National Geographic is looking for a cover photo for National Geographic Traveler. The magazine will publish their favorite from the images submitted on the front of their upcoming December/January issue, which will feature their annual list of places they have named as ‘Best of the World’. One of the most beautiful constructions on earth. Difficult to describe the place as it is much more impactful than expected. It is amazing when you see the Taj Mahal for the very first time: is so white and bright, too much beauty in one same building. The fountains in front of the building add much more beauty if that could be more possible. One of the best and must visit place of India located in Agra. 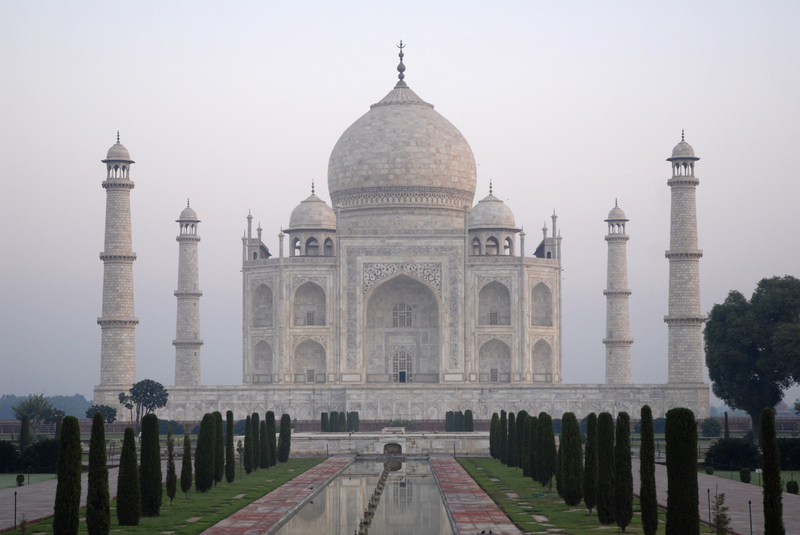 A beautiful monument got built by Mughal emperor Shah Jahan in the memory of his beloved wife Mumtaz Mahal. It looks more beautiful than image when you stand in front of the ‘Taj’ during full moon night and see its mesmerizing beauty. To enjoy the beauty during summer you must reach in the morning as during afternoon it is very difficult to survive and enjoy its beauty as the marble will be extreme hot. The best time is to see during full moon evening. However, the place is crowded and congested, but once you lay eyes on the dazzling marble monument, inlaid with precious stones, shrouded in tales of romance and valor, even an arduous journey to get here feels worth it. Imagine walking down an avenue of stores selling tiny replicas of the Taj Mahal, with guides and hawkers vying for your attention, and then passing through a massive doorway and seeing the Taj Mahal in all its splendor. It is really a magical moment. As a traveling photographer he learned that Agra city would not be on many tourists’ maps if it were not for the Taj Mahal, but as the photographer discovered there are also other amazing sights are also near. You can drive to the old fortress city of the Mughals, Fatehpur Sikri, as well as Agra’s fort, where the emperor who had the Taj built was imprisoned near the end of his life. ”– As one of the wonders of the world its a must see. What I found the most impressive was not the structure but all the inlay and carving work you have to get up close to see. This was something I never realized about the Taj as you don’t see that in the normal photos that show the whole complex. Being many places in India, I think this is a place that everybody must visit. The beautiful Taj Mahal is really something of the best of the world and it was beyond my expectations. There is not too much to see inside but the building and the surrounding garden are really magnificent. Try to go early in the morning to see the sunrise or near the day end to see the sunset”, the photographer Kristian Bertel says.